The Whiteaker neighborhood has generous street parking available; please be considerate of our neighbors. There are also free parking lots available for guests on the NE corner of 3rd and Van Buren, the NW corner of 2nd and Van Buren and off Blair across from 7-Eleven. Our neighborhood also offers abundant parking for bicycles. Blair Boulevard by the Red Barn. We love to celebrate with you! Grit Kitchen & Wine can cater your private dinners, business events, parties, weddings and more. We develop a custom menu for most events and can staff anything, from a casual buffet to a full service dinner. We are happy to offer wine and beer service and to provide equipment rental as well. 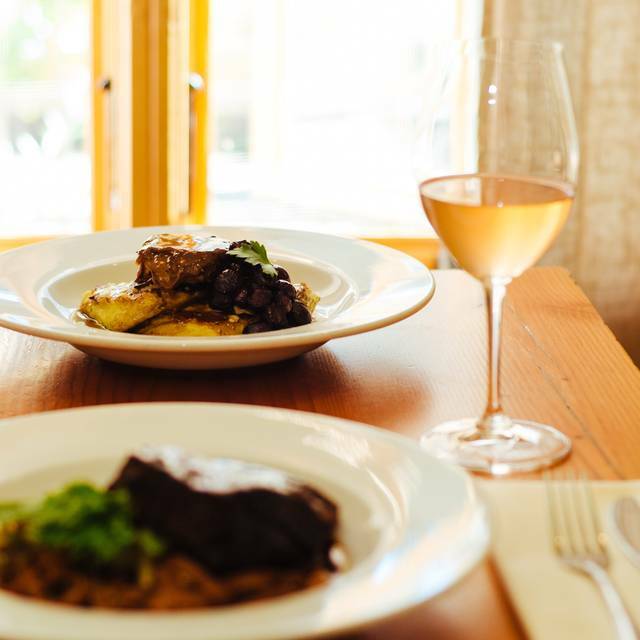 Located in the historic Shamrock House, nestled in the Whiteaker neighborhood, Grit Kitchen & Wine nourishes our community with hearty, seasonal food served with love. 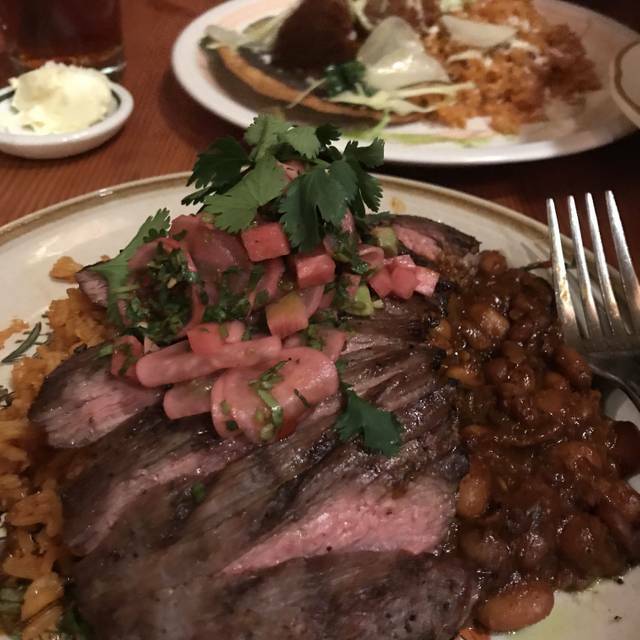 We build each dish from scratch with ingredients ethically grown and raised by our farmers here in the Willamette Valley. Guests love The Fixed Four, our monthly changing four course feast, our masterfully crafted salads, our handmade noodles, and our big steaks. Outside seating is on a first-come-first-served basis and all reservations are for inside tables. Wonderful evening. Just our second visit since moving to Eugene in 9/18. We’ll return sooner next time. We enjoyed our time. The food was a new experience for us and well prepared and presented. The wine pairings were well done and appropriately priced. The noise level is uncomfortable. It's a popular place and they have fit every table that can possibly be located in the space. We'll go back. We asked for a quiet table - essential in this place, what was provided was adequate. Service was attentive, however our order was apparently lost or forgotten somewhere in process. It took over an hour to get 3 salads!!! No explanation was provided and no apologies. We’re we offered more of the popcorn frre stuff - not fine dining this time sadly. Love Grit Kitchen. We always get the fixed 4 as it gives us a new experience every single time. The food, drinks and staff were excellent. Parking was difficult, and I lost my voice from having to speak so loudly that night. Always a pleasure dining here! I look forward to it every time I’m in Eugene. Check out Sam Bond’s Garage (just down the street) afterwards for some tasty beer and good music! Fabulous! We had a great time, the food and cocktails were delicious. Fantastic. Your russet fries are so good, it would be nice to accompany other dishes other than the ribeye. Everything was awesome!! My favorite Eugene restaurant. Our server was knowledgeable, friendly and on his game as he served us and was also training a newbie. Right from the start after walking through the door we had the best attention and the food and beverages were outstanding! Awfully noisy - but worth it. We will be back again. 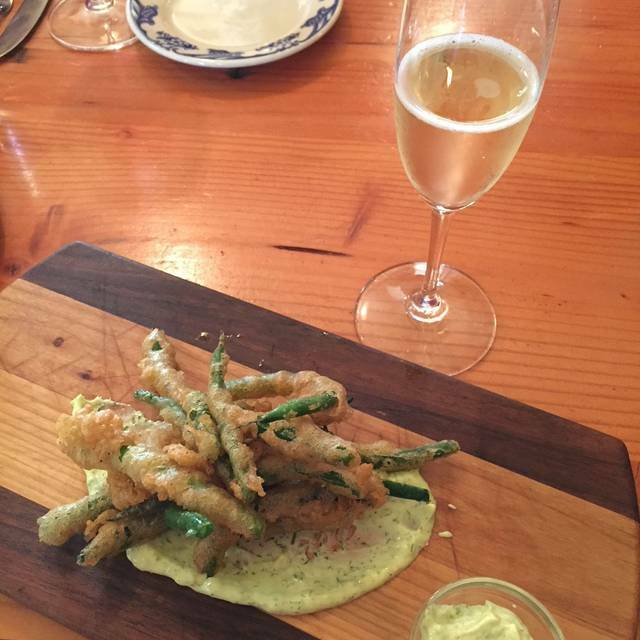 The food has always been excellent - One of our favorite places to go for a special occasion. We get the fixed 4 and think it is a very good value. My only issue is that the music, while nice, is a bit too intrusive. 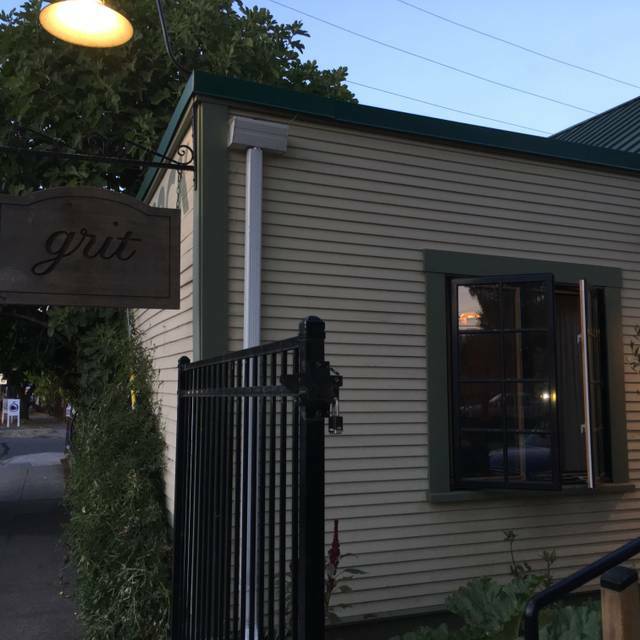 We've been to Grit several times and we almost always leave disappointed. We always enjoy the atmosphere which is lively and pleasant. The waitstaff is always friendly. The food is almost always a letdown and this last time was no exception. I ordered a fresh pasta with lamb meatballs that came smothered in a very rich, creamy sauce with some sort of grainy spice which I think was cardamon. It was way too rich. My wife ordered the scallops which also came with pasta and also smothered with a similar , creamy and very rich sauce. I blame myself for not asking our waitperson to explain the menu to us. I don't understand how someone could create and serve main courses that to us taste so awful. 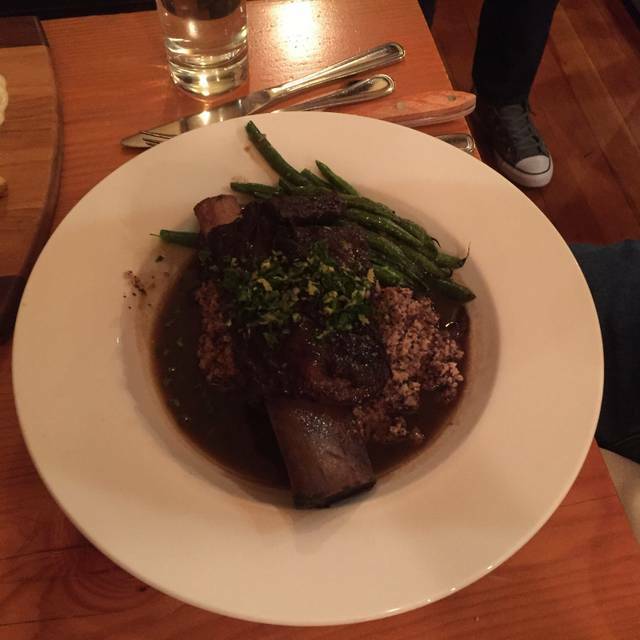 We've noticed a couple of other restaurants in Eugene that seem to serve very rich and heavy main courses. We enjoy eating out and do so often, but we'll not be back to Grit for awhile. Lovely boutique dining experience. Locally sourced ingredients, prepared in an open kitchen. Servers provided advice on not ordering too much as a fist course. Plates are presented with rich shades to maximize the contents of each meal. My only criticism is the wine pours are light. Always a pleasure to eat at Grit. Took some old friends and everyone was satisfied. Thank you for staying true to your Fresh Flavors. Enjoyed the food. Love the ambiance. Hostess, bartender and waiter were all good and attentive. Overall a great experience. My best friend from high school was in town and took me out for an early birthday dinner. The wine and food were divine! We shared the banuelos (cheese donuts, deliciously crispy outside and cheesy-not gooey inside) and the fried Brussels sprouts (oh my goodness!!). She had the scallops for her main and I had the crab cakes. She swooned. Meaty and delicious crab cakes (served with perfect fries and slaw). A rare and great night out! It was my daughter’s birthday and everything was perfect: outstanding service, delicious food, perfect ambience, and positive & soothing music!!! It could not have been more perfect. We actually started to plan the next member of our family’s birthday right after we left. Thank you so much!!!!!! The space is lovely. I like the open kitchen a lot. The staff is attentive and professional. I want to go back for the special $40 meal--I didn't get it this time because I was the only one at the table that wanted to do it. We were celebrating my sons birthday. Our server, Israel, was simply over the top amazing!! I would say that in all my dining experience, that this server was the very BEST! My son is a waiter and he said, "what about me, Mom?" Israel made us comfortable and we didn't have to wait for anything. The chef, Duncan, had a grapefruit mojita cocktail that day, that was outstanding, and also carrot salsa to go with the rhutaba chips that was superb. Loved the fried oysters and my son loved the scallop dish. I had Steak with mashed potatoes and brussel sprouts that were perfect and so beautiful, that I took a picture to post on facebook. Wonderful celebration!! So glad we chose Grit! I was up for father / daughter weekend and one of the other fathers couldn't say enough about how great Girt was so we were a party of 8 and the father and I ended up seating at the bar. We both ordered the price fix meal. 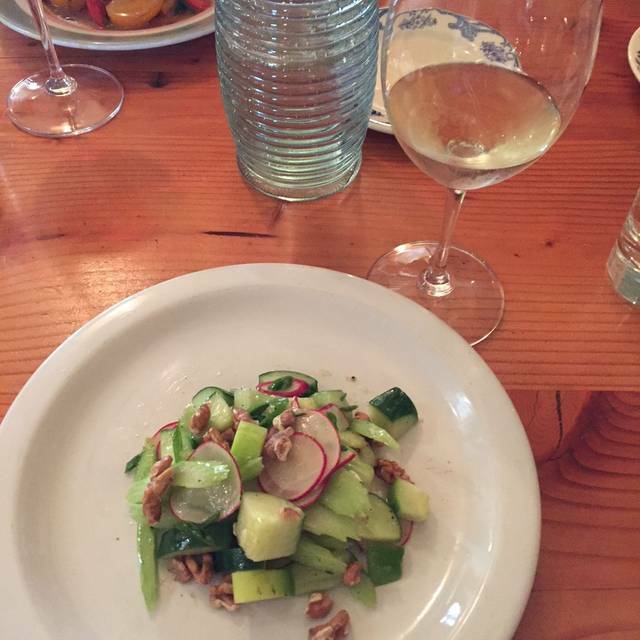 The wines, soup, and salad were fantastic. However the short rib portion so small less than three bites and covered in more garlic than meat. . The person I was with was totally in shock, he had the same meal and the portions were normal size. So I hope that someone at the restaurant reads this, because you have a great potential but micro appetizer portions is a total rip off. If you didn't have enough for a Saturday night take it off the menu. Bar was limited but bartender was great. Service was perfect. Couple of large parties made it a bit noisy and it was so dark and menu print so small menu was hard to read. One of our favorite places! 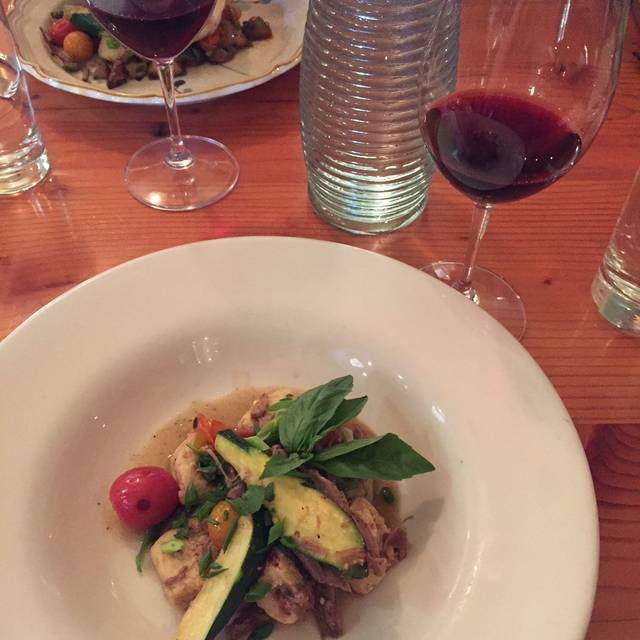 The staff provides excellent service and the food is amazing. Grit is so awesome but we really struggle with the noise level when we're there, so much so that it makes us reconsider going. We hope they install sound dampening panels some day soon. They much such a big difference. Otherwise, great food and great service! Once again, a wonderful experience. Inventive menu and the Four for Forty offers excellent value! Food was amazing. Fast service. Felt wanted there, all servers welcomed us and made sure we had all we wanted despite us not being "their" table. Food was tasty, but there were very few gluten-free options. We love Grit Kitchen! We come here every time we’re in town and it never disappoints! 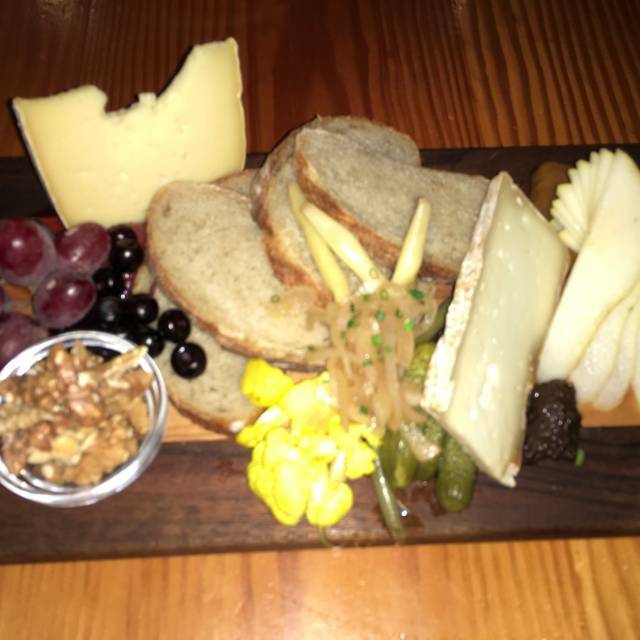 We decided to try Grit again, after a lackluster first dinner about a year ago. We are looking for a go-to fine dining establishment in our area. This dinner was not better than the first. The front room of the restaurant is warm and attractive, but we were put in the adjacent room, which is rather cold, isolated, and stark. The waitstaff was attentive and informative about the menu. Overall we found our meals to be rather strange and tasteless. The combinations of ingredients seemed good in theory, but ended up being over-thought, strange pairings. Unfortunately, we will not be returning. Another home turned restaurant. Seating is akin to cafeteria style, just missing the knapkin dispensers. Food was fine... It was filling and prepped nice. Kinda bland. 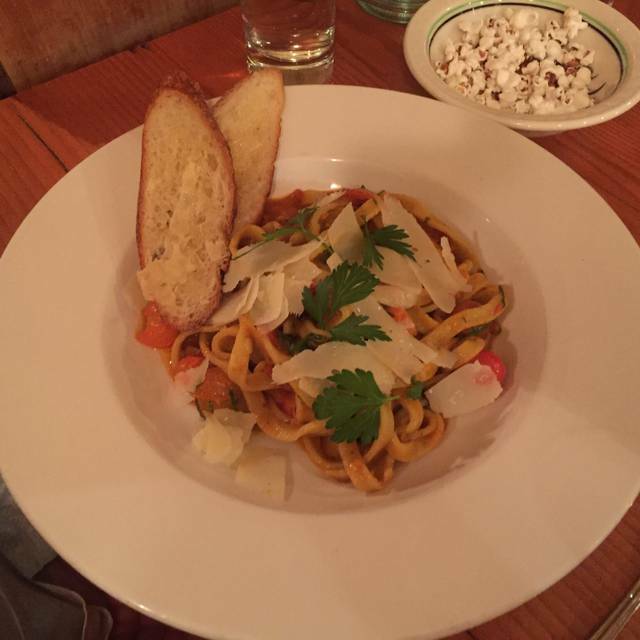 It amounted to high-end comfort food. Entry prices wines were not available, but the bottle for 57 dollars was nice. Staff was... Fantastic, warm and genuine. Been waiting 3 years to visit. Glad I went. I see no reason to return. We went to celebrate a Birthday, as always the staff are amazing. We were seated in the small side room with 12 very loud rude people and a cute couple of four beside our group of 6. Needless to say it was very ear piercing loud. The wine suggestions were great! The meal for all was delicious and very beautifully prepared and served. We will come again in the Summer. When we can eat outside. Love the place just too many people in a small space. It was a Wednesday by the way! Would love to give it a glowing review but couldn’t. One word review that is fifty characters minimum? Fabulous! My Mom came to visit and I took her to Grit. We had a fantastic time and the food was incredible. We did the Fixed Four Course. The waiter was wonderful and didn't rush us. We finished our cocktails and then our dinner came shortly after. The four course meal was full servings which was a lot of food. The flavor on point. Loved the fennel and citrus salad, the braised pork shoulder was so tender, the soubise sauce with the pork was amazing. I had to take the maple bourbon ginger bread cake home cause I was so full. That too was delicious the next day. My Mom was very impressed. Would go back in a heartbeat. Very nice environment. Great service and exceptional food. Our server, Israel, was outstanding. The food was excellent as well. The emphasis on local, well prepared ingredients was wonderful. They had my current favorite, Antiquum Farm wine, on the menu. Our table would have benefited from a little more lighting and better acoustics, but those were minor details. We had a lovely time.